Steinman, N.; Starr, R.; Brucks, S. D.; Chen, B.; Meir, R.; Golenser, J.; Campos, L. M.; Domb, A. 97. "Understanding the Bound Triplet Pair State in Singlet Fission." Sanders, S. N.; Pun, A. B.; Parenti, K. R.; Kumarasamy, E.; Yablon, L. M.; Sfeir, M. Y.; Campos, L. M.
Chem (Cell Press) 2019, Accepted. Tran, H.; Bergman, H. M.; De La Rosa, V.; Maji, S.; Parenti, K.; Hoogenboom, R.; Campos, L.
J. Polym. Sci. Polym. Chem. 2019, Accepted. Campos, L. M.; Cvetko, D.; Morgante, A.; Venkataraman, L.
​Nano Lett. 2019, 19, 2543-2548. 94. "Breaking Down Resonance: Non-Linear Transport and the Breakdown of Coherent Tunneling Models in Single-Molecule Junctions." Fung, E.-D.; Gelbwaser-Klimovsky, D.; Taylor, J.; Low, J.; Xia, J.; Jradi, F.; Davydenko, I.; Campos, L. M.; Marder, S; Peskin, U; Venkataraman, L.
Nano Lett. 2019, 19, 2555-2561. 93. "Annihilator Dimers Enhance Triplet Fusion Upconversion." Pun, A. B.; Sanders, A. B.; Sfeir, M. Y.; Campos, L. M. Congreve, D. N.
Chem. Sci. 2019, 10, 3969-3975. 92. "Non-Chemisorbed Gold–Sulfur Binding Prevails in Self-Assembled Monolayers." Inkpen, M. S.; Liu, Z.-F.; Li, H.; Campos, L. M.; Neaton, J. B.; Venkataraman, L. V.
Nat. Chem. 2019, 11, 351-358. 91. "Tunable Emission from Triplet Fusion Upconversion in Diketoyrrolopyrroles." Pun, A. B.; Campos, L. M.; Congreve, D. N.
J. Am. Chem. Soc. 2019, 141, 3777-3781. 90. “Anticipating Acene-Based Chromophore Spectra with Molecular Orbital Arguments." Hele, T. J. H.; Fuemmeler, E. G.; Sanders, S. N.; Kumarasamy, E.; Sfeir, M. Y.; Campos, L. M.; Ananth, N.
J. Phys. Chem. A 2019, 123, 2527-2536. 89. "Photoredox Catalysis Using Infrared Light via Triplet Fusion Upconversion." Ravetz, B. D.; Pun, A. B.; Churchill, E. M.; Congreve, D. N.; Rovis, T.; Campos, L. M.
88. "Crosslinked Colloids with Cyclopropenium Cations." Brucks, S. D.; Steinman, N. Y.; Starr, R. L.; Domb, A. J.; Campos, L. M.
J. Polym. Sci. Polym. Chem. 2018, 2641-2645. Voebodin, A.; Campos, L. M.; Roy, X.
J. Am. Chem. Soc. 2018, 140, 5607-5611. 86. "Ion Transport in Cyclopropenium-Based Polymerized Ionic Liquids." ​Griffin, P. J.; Freyer, J. L.; Han, N.; Geller, N.; Yin, X.; Gheewala, C. D.; Lambert, T. H.; Campos, L. M.; Winey, K. I. 85. "A Single-Molecule Switch based on Electrochemically Activated Antiaromaticity." Yin, X.; Zang, Y.; Zhu, L.; Low, J.-Z. ; Liu, Z.-F.; Cui, J.; Neaton, J. B.; Venkataraman, L.; Campos, L. M.
Science Adv. 2017, 3, eaao2615. ​Read the C&E News highlight (vol 9, issue 44, p 11). 84. "A Birds-Eye View of the Uphill Landscape in Endothermic Singlet Fission." Sanders, S. N.; Campos, L. M.
​83. "Triplet Harvesting from Intramolecular Singlet Fission in Polytetracene." Pun, A. B.; Sanders, S. N.; Kumarasamy, E.; Sfeir, M. Y.; Congreve, D. N.; Campos, L. M.
Adv. Mater. 2017, 29, 1701416. 82. "Tuning Singlet Fission in Pi-Bridge-Pi Chromophores." Kumarasamy, E.; Sanders, S. N.; Tyebjee, M. J. Y.; Asadpoordarvish, A.; Hele, T. J. H.; Fuemmeler, E. G.; Pun, A. B.; Yablon, L. M.; Low, J. Z.; Paley, D. W.; Dean, J. C.; Scholes, G. D.; Steigerwald, M. L.; Ananth, N.; McCamey, D. R.; Sfeir, M. Y.; Campos, L. M.
J. Am. Chem. Soc. 2017, 139, 12488-12494. 81. "Photophysical Characterization and Time-Resolved Spectroscopy of a Anthradithiophene Dimer: Exploring the Role of Conformation in Singlet Fission." Dean, J.C.; Zhang, R.; Hallani, R.; Pensack, R.; Sanders, S.N. ; Oblinsky, D.; Parkin, S.; Campos, L.M. ; Anthony, J.E. ; Scholes, G.
​Phys. Chem. Chem. Phys. 2017, 19, 23162-23175. 80. "Dimerization of Endohedral Fullerene in a Superatomic Crystal." Voevodin, A.; Abella, L.; Castro, E.; Paley, D. W.; Campos, L. M.; Rodriguez, A.; Poblet, J. M.; Echegoyen, L.; Roy, X.
Chem. Eur. J. 2017, 23, 13305-13308. 79. "Fully Charged: Maximizing the Potential of Cationic Polyelectrolytes in Applications Ranging from Membranes to Gene Delivery through Rational Design." Freyer, J. L.; Brucks, S. D.; Campos, L. M.
​J. Polym. Sci. Part A: Polym. Chem. 2017, 55, 3167-3174. 78. "Distinct Properties of the Triplet Pair State from Singlet Fission." Trinh, M. T.; Pinkard, A.; Pun, A. B.; Sanders, S. N.; Kumarasamy, E.; Sfeir, M. Y.; Campos, L. M.; Roy, X.; Zhu, X.-Y. Science Adv. 2017, 3, e1700241. 77. "Stimulated Raman Scattering of Polymer Nanoparticles for Multiplexed Live-Cell Imaging." Hu, F.; Brucks, S. D.; Lambert, T. H.; Campos, L. M.; Min, W.
Chem. Commun. 2017, 53, 6187-6190. 76. "The Influence of Nanostructure on the Exciton Dynamics of Multichromophore Donor-Acceptor Block Copolymers." Xia, J.; Busby, E.; Tung, C.; Sanders, S. N.; Cacciuto, A.; Sfeir, M. Y.; Campos, L. M.
ACS Nano 2017, 11, 4593-4598. 75. "Reversible On-Surface Wiring of Resistive Circuits." Inkpen, M. S.; Leroux, Y.; Hapiot, P.; Campos, L. M.; Venkataraman, L.
Chem. Sci. 2017, 8, 4340-4346. 74. "Tuning the Polarity of Charge Carriers Using Electron Deficient Thiophenes." Low, J. Z.; Capozzi, B.; Cui, J.; Wei, S.; Venkataraman, L.; Campos, L. M.
Chem. Sci. 2017, 8, 3254-3259. 73. 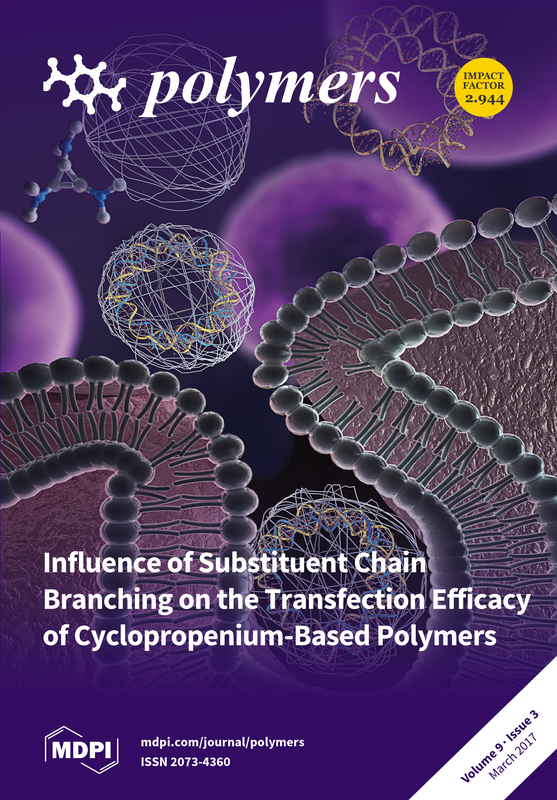 "Influence of Substituent Chain Branching on the Transfection Efficacy of Cyclopropenium-Based Polymers." Brucks, S. D.; Freyer, J. L.; Lambert, T. H.; Campos, L. M.
Xia, J.; Sanders, S. N.; Cheng, W.; Low, J. Z.; Liu, J.; Campos, L. M.; Sun, T.
Adv. Mater. 2017, Early View. 71. "Quintet Multiexciton Dynamics in Singlet Fission." Tayebjee, M. J. Y.; Sanders, S. N.; Kumarasamy, E.; Campos, L. M.; Sfeir, M. Y.; McCamey; D. R.
​Nat. Phys. 2017, 13, 182-188. 70. "Singlet Fission in Polypentacene." Sanders, S. N.; Kumarasamy, E.; Pun, A. B.; Steigerwald, M. L.; Sfeir, M. Y.; Campos, L. M.
69. "Polymer ClickabIL Chemistry: A Materials Platform for Gene Transfection." Freyer, J. L.; Brucks, S. D.; Gobieski, G. S.; Russell, S. T.; Yozwiak, C. E.; Sun, M.; Chen, Z.; Jiang, Y.; Bandar, J. S.; Stockwell, B. R.; Lambert, T. H.; Campos, L. M.
Angew. Chem. Int. Ed. 2016, 128, 12570-12574. 68. "Exciton Correlations in Intramolecular Singlet Fission." Sanders, S. N.; Kumarasamy, E.; Pun, A.; Appavoo, K.; Steigerwald, M. L.; Campos, L. M.; Sfeir, M. Y. ​J. Am. Chem. Soc. 2016, 138, 7289-7297. ​Capozzi, B.; Low, J. Z.; Xia, J.; Liu, Z.-F.; Neaton, J. B.; Campos, L. M.; Venkataraman, L.
​Nano Lett. 2016, 16, 3949-3954. 66. "A Direct Mechanism of Ultrafast Intramolecular Singlet Fission in Pentacene Dimers." Fuemmeler, E. G.; Sanders, S.; Pun, A. B.; Kumarasamy, E.; Zeng, T.; Miyata, K.; Steigerwald, M. L.; Zhu, X.-Y. ; Sfeir, M. Y.; Campos, L. M.; Ananth, N.
ACS Cent. Sci. 2016, 2, 316-324. ​65. "Properties of Poly- and Oligo-Pentacenes Synthesized from Modular Building Blocks." Kumarasamy, E.; Sanders, S. N.; Pun, A. B.; Vaselabadi, S. A.; Low, J. Z.; Sfeir, M. Y.; Steigerwald, M. L.; Stein, G. E.; Campos, L. M.
64. "Intramolecular Singlet Fission in Oligoacene Heterodimers." Angew. Chem. Int. Ed. 2016, 55, 3373-3377. 63. Reply to "Comment on 'Breakdown of Interference Rules in Azulene, a Non-Alternant Hydrocarbon.'" Strange, M.; Solomon, G. C.; Venkataraman, L.; Campos, L. M.
Nano Lett. 2015, 14, 2941-2945. 62. "Preparation of Non-Spherical Particles from Amphiphilic Block Copolymers." Kempe, K.; Wylie, R. A.; Dimitriou, M. D.; Tran, H.; Hoogenboom, R.; Schubert, U. S.; Hawker, C. J.; Campos, L. M.; Connal, L. A.
J. Polym. Sci. Part A, Polym. Chem. 2015, 54, 750-757. 61. "Three-Phase Morphology of Semicrystalline Polymer Semiconductors: A Quantitative Analysis." Remy, R.; Wei, S.; Campos, L. M.; Mackay, M. E.
ACS Macro Lett. 2015, 4, 1051-1055. 60. "Quantitative Intramolecular Singlet Fission in Bipentacenes." Sanders, S. N.; Kumarasamy, E.; Pun, A. B.; Trin, M. T.; Choi, B.; Xia, J.; Taffet, E. J.; Low, J. Z.; Miller, J. R.; Roy, X.; Zhu, X.-Y. ; Steigerwald, M. L.; Sfeir, M. Y.; Campos, L. M.
J. Am. Chem. Soc. 2015, 137, 8965-8972. 59. "Correlating Structure and Function in Organic Electronics: from Single Molecule Conductance to Singlet Fission." Low, J. Z.; Sanders, S. N.; Campos, L. M.
Chem. Mater. 2015, 27, 5453-5463. 58. "Single-Molecule Diodes with High Rectification Ratios Through Environmental Control." Capozzi, B.; Xia, J.; Adak, O.; Dell, E. J.; Liu, Z.-F.; Taylor, J. C.; Neaton, J. B.; Campos, L. M.; Venkataraman, L.
Nature Nanotech. 2015, 10, 522-527. News of the Week in C&E News. Rebooting the Molecular Computer: C&E News. 57. "Synthesis of Robust Surface-Charged Nanoparticles based on Cyclopropenium Ions." Killops, K. L.; Brucks, S. D.; Rutkowski, K. L.; Freyer, J. L.; Jiang, Y.; Valdes, E. R.; Campos, L. M.
56. "Fast Singlet Exciton Decay in Push-Pull Molecules Containing Oxidized Thiophenes." Busby, E.; Xia, J.; Low, J. Z.; Wu, Q.; Hoy, J.; Campos, L. M.; Sfeir, M. Y.
J. Phys. Chem. B 2015, 119, 7644-7650. 55. "Molecular Length Dictates the Nature of Charge Carriers in Single-Molecule Junctions of Oxidized Oligothiophenes." Dell, E. J.; Capozzi, B.; Xia, J.; Venkataraman, L.; Campos, L. M.
Nature Chem. 2015, 7. 209. 54. "A Design Strategy for Intramolecular Singlet Fission Mediated by Charge-Transfer States in Donor-Acceptor Organic Materials"
Busby, E.; Xia, J.; Wu, Q.; Low, J. Z.; Song, R.; Miller, J. R.; Zhu, X.-Y. ; Campos, L. M.; Sfeir, M. Y. Nature Mater. 2015, 14, 426-433. 53. "The Evolution of Cyclopropenium Ions into Functional Polyelectrolytes." Jiang, Y.; Freyer, J. L.; Cotanda, P.; Brucks, S. D.; Killops, K. L.; Bandar, J. S.; Torsitano, C.; Balsara, N. P.; Lambert, T. H.; Campos, L. M.
Nat. Commun. 2015, 6, 5950. 52. "Hierarchically Ordered Nanopatterns for Spatial Control of Biomolecules." Tran, H.; Ronaldson, K.; Bailey, N. A.; Lynd, N. A.; Killops, K. L.; Vunjak-Novakovic, G.; Campos, L. M.
ACS Nano, 2014, 8, 11846-11853. 51. "Enthalpy of Fusion of Poly(3-hexylthiophene) by Differential Scanning Calorimetry"
Remy, R.; Weiss, E. D.; Nguyen, N. A.; Wei, S.; Campos, L. M.; Kowalewski, T.; Mackay, M. E.
J. Polym. Sci. Part B, Polym. Phys. 2014, 52, 1469-1475. 50. "Engineering Topochemical Polymerizations Using Block Copolymer Templates." Zhu, L.; Tran, H.; Beyer, F. L.; Walck, S. D.; Li, X.; Angren, H.; Killops, K. L.; Campos, L. M.
J. Am. Chem. Soc. 2014, 136, 13381-13387. 49. "Control of Single-Molecule Junction Conductance of Porphyrins via Transition Metal Center." Liu, Z.-F.; Wei, S.; Yoon, H.; Adak, O.; Ponce, I.; Jiang, Y.; Jang, W.-D.; Campos, L. M.; Venkataraman, L.; Neaton, J. B.
Nano Lett. 2014, 14, 5365-5370. Technology Update in Nanotech Web. 48. "Cascade Sensing of Gold and Thiols with Imidazole-Bearing Functional Porphyrins." Kim, J.-H.; Jeong, Y.-H.; Yoon, H.-J. ; Tran, H.; Campos, L. M., Jang, W.-D.
Chem. Commun. 2014, 50, 11500-11503. 47. "Length-Depentent Conductance of Oligothiophenes." Capozzi, B.; Dell, E. J.; Berkelbach, T. C.; Reichman, D. R.; Venkatarman, L.; Campos, L. M.
J. Am. Chem. Soc. 2014, 136, 10486-10492. 46. "Breakdown of Interference Rules in Azulene, a Non-Alternant Hydrocarbon." Xia, J.; Capozzi, B.; Wei, S.; Strange, M.; Batra, A.; Moreno, J. R.; Amir, R. J.; Amir, E.; Solomon, G. S.; Venkatarman, L.; Campos, L. M.
Nano Lett. 2014, 14, 2941-2945. 45. "Bandgap Engineering through Controlled Oxidation of Polythiophenes." Wei, S.; Xia, J.; Dell, E. J.; Jiang, Y.; Song, R.; Lee, H.; Rodenbough, P.; Briseno, A. L.; Campos, L. M.
Angew. Chem. Int. Ed. 2014, 53, 1832-1836. 44. "Polymeric Supramolecular Assemblies Based on Multivalent Ionic Interactions for Biomedical Applications." Yoon, H.; Dell, E.; Freyer, J.; Campos, L. M.; Jang, W.-D.
43. "One-Dimensional Electrical Contact to a Two-Dimensional Material." Wang, L.; Meric, I.; Huang, P. Y.; Gao, Y.; Tran, H.; Taniguchi, T.; Watanabe, K.; Campos, L. M.; Muller, D. A.; Gao, Q.; Guo, J.; Kim, P.; Hone, J.; Shepard, K. L.; Dean, C. R.
42. "Impact of Molecular Symmetry on Single-Molecule Conductance"
Dell, E. J.; Capozzi, B.; DuBay, K. H.; Berkelbach, T. C.; Moreno, J. R.; Reichman, D. R.; Venkataraman, L. V.; Campos, L. M.
J. Am. Chem. Soc. 2013, 135, 11724-11727. 41. "Strongly Phase-Segregating Block Copolymers with Sub-20 nm Features"
Kempe, K.; Killops, K. L.; Poelma, J. E.; Jung, H.; Bang, J.; Hoogenboom, R.; Tran, H.; Hawker, C. J.; Schubert, U. S.; Campos, L. M.
ACS Macro Lett. 2013, 2, 677-682. 40. "Monoliths of Semiconducting Block Copolymers by Magnetic Alignment"
Tran, H.; Gopinadhan, M.; Majewski, P.; Shade, R.; Steffes, V. M.; Osuji, C.; Campos, L. M.
ACS Nano, 2013, 7, 5514-5521. 39. "Advancements and Challenges of Patterning Biomolecules with Sub-50 nm Features"
Tran, H.; Killops, K. L.; Campos, L. M.
Soft Matter 2013, 9, 6578-6586. 2013's most accessed Soft Matter articles. 38. "Materials for the Preparation of Polymer Pen Lithography Tip Arrays and a Comparison of their Printing Properties." Zhong, X.; Bailey, N. A.; Schesing, K. B.; Bian, S.; Campos, L. M.; Braunschweig, A. B.
J. Polym. Sci. Part A: Polym. Chem. 2013, 51, 1533-1539. 37. "Nanopatterning Biomolecules by Block Copolymer Self-Assembly." Killops, K. L.; Gupta, N.; Dimitriou, M. D.; Lynd, N. A.; Jung, H.; Tran, H.; Bang, J.; Campos, L. M.
ACS Macro Lett. 2012, 1, 758-763. 36. "The Preparation of thiophene S,S-dioxides and their role in organic electronics." Dell, E. J.; Campos, L. M.
J. Mater. Chem. 2012, 22, 12945-12952. 35. "Low temperature ketene formation in materials chemistry through molecular engineering." Leibfarth, F. A.; Wolffs, M.; Campos, L. M.; Delany, K.; Treat, N.; Kade, M. J.; Moon, B.; Hawker, C. J.
Chem. Sci. 2012, 3, 766-771. 34. "A Facile Route to Patterned Epitaxial ZnO Nanostructures by Soft Lithography." Richardson, J. R.; Estrada, D.; DenBaars, S. P.; Lange, F. F.; Hawker, C. J.; Campos, L. M.
J. Mater. Chem. 2011, 21, 14417-14419. 33. "De Novo Design of Bioactive Protein-Resembling Nanospheres via Dendrimer-Templated Peptide Amphiphile Assembly." Nano Lett. 2011, 11, 3946-3950. 32. "Stimuli-Responsive Azulene-Based Conjugated Oligomers with Polyaniline-Like Properties"
Amir, E.; Amir, A.; Campos, L. M., Hawker, C. J.
J. Am. Chem. Soc. 2011, 133, 10046-10049. 31. "Multifunctional bilayer films for biomedical applications.."
Amir, E.; Antoni, P.; Campos, L. M.; Damiron, D.; Gupta, N.; Amir, R. J.; Pesika, N.; Drockenmuller, E.; Hawker, C. J.
Chem. Comm. 2012, 48, 4833-4835. 30. "A facile synthesis of clickable and acid-cleavable PEO for acid-degradable block copolymers." Satoh, K.; Poelma, J. E.; Campos, L. M.; Stahl, B.; Hawker, C. J.
Polym. Chem. 2012, 3, 1890-1898..
29. "A General Approach to Controlling the Surface Composition of Poly(ethylene oxide)-Based Block Copolymers for Antifouling Coatings." Dimitriou, M. D.; Zhou, Z.; Yoo, H.-S.; Killops, K. L.; Finlay, J. A.; Cone, G.; Sundaram, H. S.; Lynd, N. A.; Barteau, K. P.; Campos, L. M.; Fisher, D. A.; Callow M. E.; Callow, J. A.; Ober, C. K.; Hawker, C. J.; Kramer, E. J. 28. "Poly(allyl glycidyl ether)-A versatile and functional polyether platform." Lee, B. F.; Kade, M. J.; Chute, J. A.; Gupta, N.; Campos, L. M.; Fredrickson, G. H.; Kramer, E. J.; Lynd, N. A.; Hawker, C. J.
J. Polym. Sci. Part A: Polym. Chem. 2011, Early View. 27. "Tunable, High Modulus Hydrogels Driven by Ionic Coacervation"
Hunt, J. N.; Feldman, K. E.; Lynd, N. A.; Deek, J.; Campos, L. M.; Spruell, J. M.; Hernandez, B. M.; Kramer, J.; Hawker, C. J.
Adv. Mater. 2011, 23, 2327-2331. 26. "Nanostructured Hybrid Solar Cells: Dependence of the Open Circuit Voltage on the Interfacial Composition"
Treat, N. D.; Campos, L. M.; Dimitriou, M. D.; Ma, B.; Chabinyc, M.; Hawker, C. J.
Adv. Mater. 2010, 22, 4982-4986. 25. "Pushing the Limits for Thiol-Ene and CuAAC Reactions: Synthesis of a 6th Generation Dendrimer in a Single Day"
Antoni, P.; Robb, M. J.; Campos, L. M.; Montanez, M. I.; Malmstrom, E.; Hult, A.; Malkoch, M.; Hawker, C. J. 24. "Acclerated Growth of Dendrimers via Thiol-Ene and Esterification Reactions." Montanez, M. I.; Campos, L. M.; Antoni, P.; Hed, Y.; Walter, M. V.; Krull, B. T.; Khan, A.; Hult, A.; Hawker, C. J.; Malkoch, M.
23. "A Facile Route to Ketene-Functionalized Polymers for General Materials Applications." Leibfarth, F. A.; Kang, M.; Ham, M.; Kim, J.; Campos, L. M.; Gupta, N.; Moon, B.; Hawker, C. J.
Nat. Chem. 2010, 2, 207-212. 22. "A Versatile Approach to High-Throughput Microarrays Using Thiol-ene Chemistry." Gupta, N.; Lin, B.; Campos, L. M.; Dimitriou, M. D.; Hikita, S.; Treat, N.; Tirrell, M. V.; Clegg, D. O.; Kramer, E. J.; Hawker, C. J.
Nat. Chem. 2010, 2, 138-145. 21. "Applications of Photocurable PMMS Thiol-ene Stamps in Soft Lithography." Campos, L. M.; Truong, T. T.; Shim, D. E.; Dimitriou, M. D.; Shir, D.; Meinel, I.; Gerbec, J.; Hahn, H. T.; Rogers, J. A.; Hawker, C. J.
Chem. Mater. 2009, 21, 5319-5326. 20. "Synthesis, Properties, and LEDs from Highly Luminescent Metal Complexes Containing Indolizino[3,4,5-ab]isoindoles." Mitsumori, T.; Campos, L. M.; Garcia-Garibay M. A.; Wudl, F.; Sato, H.; Sato, Y.
J. Mater. Chem. 2009, 19, 5826-5836. 19. "Radical Reactions with Double Memory of Chirality (2MOC) for the Enantiospecific Synthesis of Adjacent Stereogenic Quartenary Centers in Solution: Cleavage and Bonding Faster than Radical Rotation." Resendiz, M. J. E.; Family, F.; Fuller, K.; Campos, L. M.; Khan, S. I.; Lebedeva, N. V.; Forbes, M.; Garcia-Garibay, M. A.
J. Am. Chem. Soc. 2009, 131, 8425-8433. 18. "Light Extraction from GaN-Based LED Structures with a Non-Invasive 2D Photonic Crystal." Truong, T.-A. ; Campos, L. M.; Matioli, E.; Meinel, I.; Hawker, C. J.; Weisbuch, C.; Petroff, P. M.
Appl. Phys. Lett. 2009, 94, 023101. 17. "Highly Ordered Nanoporous Thin Films by Blending of PEO Additives and PSt-b-PMMA Block Copolymers." Park, S.-C.; Jung, H.; Fukukawa, K.; Campos, L. M.; Lee, K.; Shin, K.; Hawker, C. J.; Ha, J. S.; Bang, J.
J. Polym. Sci. Part A. Polym. Chem. 2008, 46, 8041-8048. 16. "Development of Thermal and Photochemical Strategies for Thiol-ene Click Polymer Functionalization." Campos, L. M.; Killops, K. L.; Sakai, R.; Paulusse, J. M.J.; Damiron, D.; Drockenmuller, E.; Messmore, B. W.; Hawker, C. J. 15. "Highly Versatile and Robust Materials for Soft Imprint Lithography based on Thiol-ene Click Chemistry." Campos, L. M.; Meinel, I.; Guino, R.; Schierhorn, M.; Gupta, N.; Stucky, G. D.; Hawker, C. J.
Adv. Mater. 2008, 20, 3728-3733. 14. "Holographic Recording in Cross-Linked Polymeric Matrices through Photoacid Generation." Khan, A.; Campos, L. M.; Mikhailovsky, A.; Toprak, M.; Strandwitz, N. C.; Stucky, G. D.; Hawker, C. J.
Chem. Mater. 2008, 20, 3669-3674. 13. "Robust, Efficient, and Orthogonal Synthesis of Dendrimers via Thiol-ene "Click" Chemistry." Killops, K. L.; Campos, L. M., Hawker, C. J.
J. Am. Chem. Soc. 2008, 130, 5062-5064. 12. "Photophysical Properties of Non-Homoconjugated 1,2-Dihydro, 1,2,3,4-Tetrahydro and 1,2,3,4,5,6-Hexahydro-C60 Derivatives." Chin, K. K.; Chuang, S.-C.; Hernandez, B.; Campos, L. M.; Selke, M.; Foote, C. S.; Garcia-Garibay, M. A.
Photochem. Photobiol. Sci. 2008, 7, 49-55. 11. "Pump-Probe Spectroscopy and Circular Dichroism of Nanocrystalline Benzophenone - Towards Absolute Kinetic Measurements in Solid State Photochemical Reactions." Chin, K. K.; Natarajan, A.; Gard, M. N.; Campos, L. M.; Shepherd, H.; Johansson, E.; Zink, J. E.; Garcia-Garibay, M. A.
Chem. Commun. 2007, 41, 4266-4268. 10. "Reactive Intermediates in Crystals: Form and Function." Campos, L. M.; Garcia-Garibay M. A. In: Reviews of Reactive Intermediate Chemistry, Platz, M. S.; Moss, R. A.; Jones Jr., M.; Eds., John Wiley & Sons: New Jersey, 2007, p. 271. 9. "Norrish Type I vs. Norrish-Yang Type II in the Solid State Photochemistry of cis-2,6-Di(1-cyclohexenyl)-cyclohexanone: A Computational Study." Campos, L. M.; Mortko, C. J.; Garcia-Garibay M. A.
Molec. Cryst. Liq. Cryst. 2006, 456, 15-24. 8. "Photovoltaic Activity of a PolyProDOT Derivative in a Bulk Heterojunction Solar Cell." Campos, L. M.; Mozer, A. J.; Guenes, S.; Winder, C.; Neugebauer, H.; Sariciftci, N. S.; Thompson, B. C. Reeves, B. D.; Grenier, C. R. G.; Reynolds, J. R.
Sol. Energy Mater. Sol. Cells. 2006, 90, 3531-3546. Paulson, S. E.; Liu, D.-L.; Orzechowska, G. E.; Campos, L. M.; Houk, K. N.
J. Org. Chem. 2006, 71, 6403-6408. 6. "Crystal Phases and Phase Transitions in a Highly Polymorphogenic Solid-State Molecular Gyroscope with meta-Methoxytrityl Frames." Nunez, J. E.; Khuong, T. A. V.; Campos, L. M.; Farfan, N.; Dang, H.; Karlen, S. D.; Garcia-Garibay M. A.
Cryst. Growth & Design 2006, 6, 866-873. 5. "Extended Photocurrent Spectrum of a Low-Bandgap Polymer in a Bulk Heterojunction Solar Cell." Campos, L. M.; Tontcheva, A.; Guenes, S.; Sonmez, G.; Neugebauer, H.; Sariciftci, N. S.; Wudl F.
Campos, L. M.; Warrier, M. V.; Peterfy, K. P.; Houk, K. N.; Garcia-Garibay M. A.
J. Am. Chem. Soc. 2005, 127, 10178-10179. 3. "Photochemical Decarbonylation of Ketones: Recent Advances and Reactions in Crystalline Solids." Campos, L. M.;Garcia-Garibay, M. A. In: CRC Handbook of Organic Photochemistry and Photobiology Horspool, W. M.; Lenci, F.; Eds., CRC Press: New York, 2004, 2nd Edition, Chapter 48. 2. "H-Abstraction Prevails Over alpha-Cleavage in the Solution and Solid State Photochemistry of cis-2,6-Di(1-cyclohexenyl)cyclohexanone." Mortko, C. J.; Dang, H.; Campos, L. M.; Garcia-Garibay M. A.
Tetrahedron Lett. 2003, 44, 6133-6136. 1. "Engineering Reactions in Crystalline Solids: Predicting Photochemical Decarbonylation from Calculated Thermochemical Parameters." Campos, L. M.; Dang, H.; Ng, D.; Yang, Z.; Martinez, H. L.; Garcia-Garibay M. A.
J. Org. Chem. 2002, 67, 3749-3754.